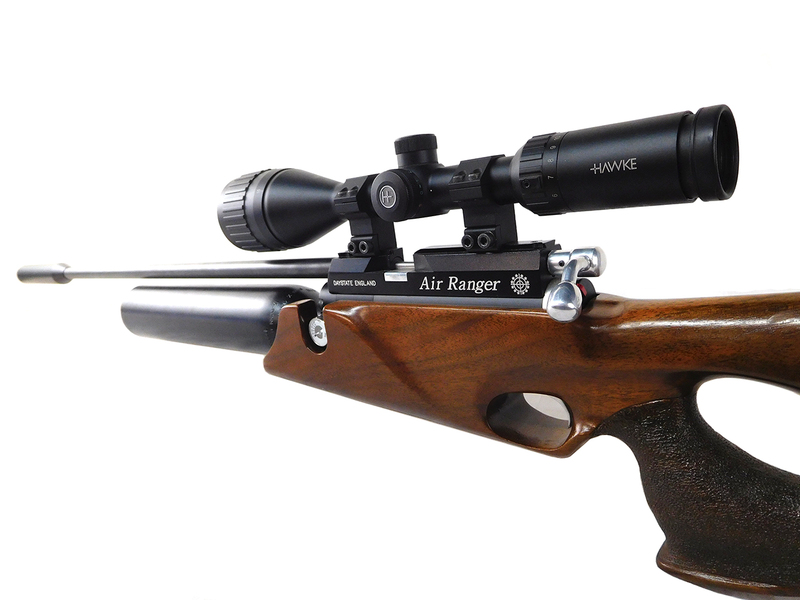 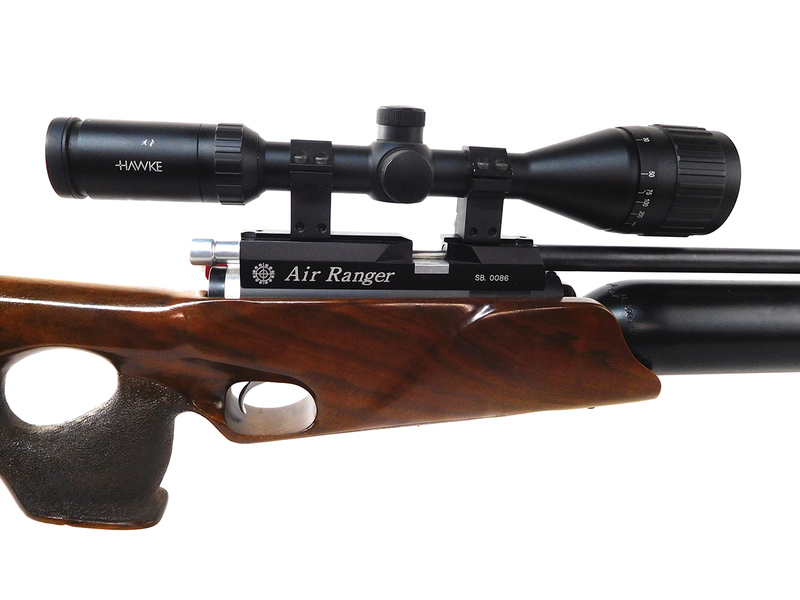 The Daystate Air Ranger is a bolt action, single shot or repeater, PCP air rifle with wood stock. 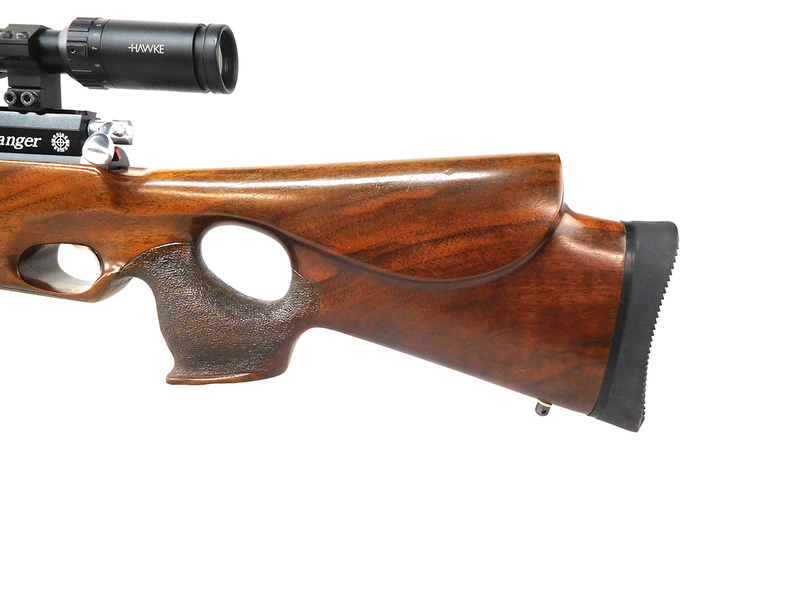 This one has a single shot tray, but no magazine clip. 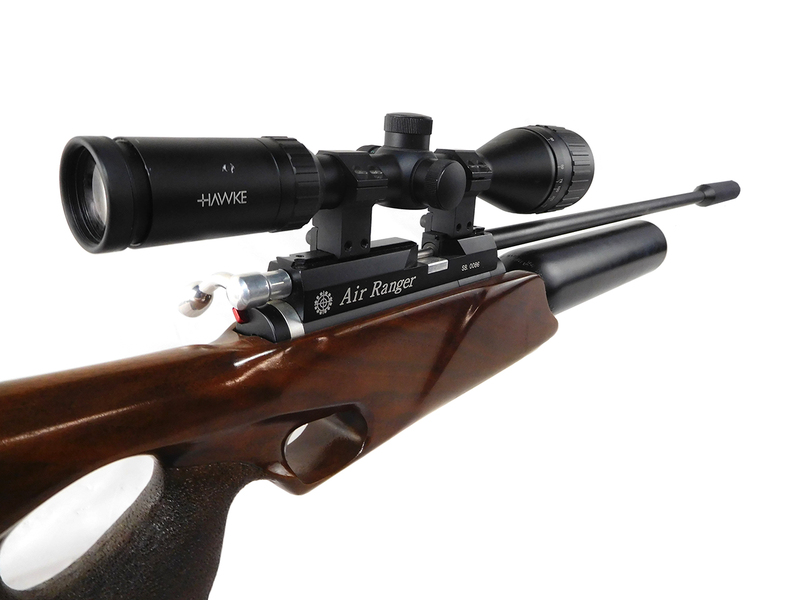 It also includes a Hawke Vantage 4-12×50 scope. 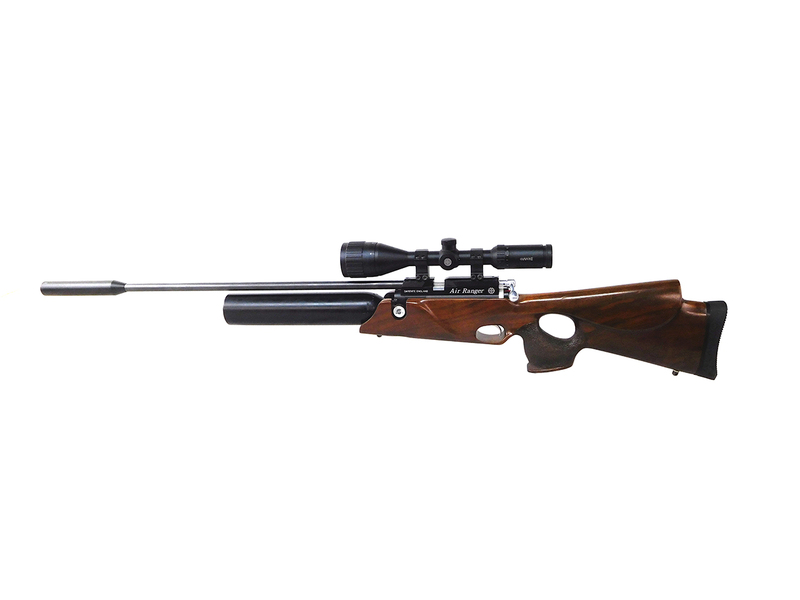 The stock and metal are in at least 90% original condition.